Whether you are selling your house on your own, or you are using a professional but want to have a hand in the process, a successful open house involves planning, preparation, and marketing. An open house is your best opportunity to highlight the selling points of your home, but if you drop the ball in preparation, it can be a chance to scare away buyers. Here are some tips on how to plan, prepare, and execute the best open house possible. In today’s real estate market, you must have a defined marketing plan for your home. Everything from the minimum price you’ll accept, to your future moving needs, should be written down and considered with every decision you make along the way. Planning involves, at a minimum, researching your price. How are comparable homes in your area priced? Can you justify asking a higher price, and if so, why? And your marketing plan should be more in-depth than just your asking price. Consider the selling points of your home and neighborhood. If there are a lot of neighborhood kids, that may well be the best selling point for a prospective buyer with elementary school children. Are there little-known neighborhood pluses, like a great restaurant or quiet park down the road? A plan fills in all these little details so you can do more than just showrooms to a buyer, but give richly detailed information. As part of your plan, you should identify any potential problems that visitors might raise at an open house. If there are neighborhood nuisances, such as a nearby highway, be prepared to bring the issue out in the open. If there are structural or cosmetic issues that cannot be mitigated, make sure you can explain how you factored those into your asking price. Make your front door Replacing or painting a front door is one of the best returns on investment a homeowner can make, and it’ll lure buyers to your open house as well. You can also get a significant return by installing new door hardware. Front-yard landscaping. Edge flower beds, add new annuals, and give it all a fresh topping of mulch. The crisp look will enliven any front yard. Upgrade your mailbox. For a few hundred dollars, you can make a big impact right at the end of your driveway, which might be the first thing buyers see as they approach your open house. Install outdoor lighting. Prospective buyers will often drive by homes at all different times of day, including nighttime, and a lit path or spotlit front door makes a great first impression. Leverage social media. 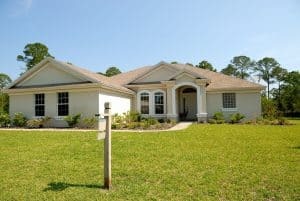 Connect immediately to thousands in your area by posting information about your open house on Facebook. Share with your friends and family, and if you have any connections who may know realtors, ask them to share with those friends as well. Create a good website. A simple landing page with the details of your house is a must. Upload pictures and facts about the property, such as square footage, taxes, and school district. Don’t forget old-fashioned methods. As connected as social media can make us, some people can gloss over your listing in their ocean of daily content. Call anyone who you think might be interested, or who might know someone looking for a house, such as family or neighbors. Put the information from your website on flyers and post them in area community boards. Open house signage. Make sure your house is well-marked with an open house sign. Don’t forget to place signs around your neighborhood as well. An open house is a great chance to sell your home. With some upfront work planning and preparing, you can ensure maximum impact and bring your house alive for potential buyers.